In a Nutshell: Any time you visit a website, companies you’ve never heard of use embedded trackers to collect information related to your browsing and purchase history, your interests, and other personal information you input into signup boxes or search engines. Data brokers use the information to categorize consumers and sell the data to outside agencies for marketing purposes. 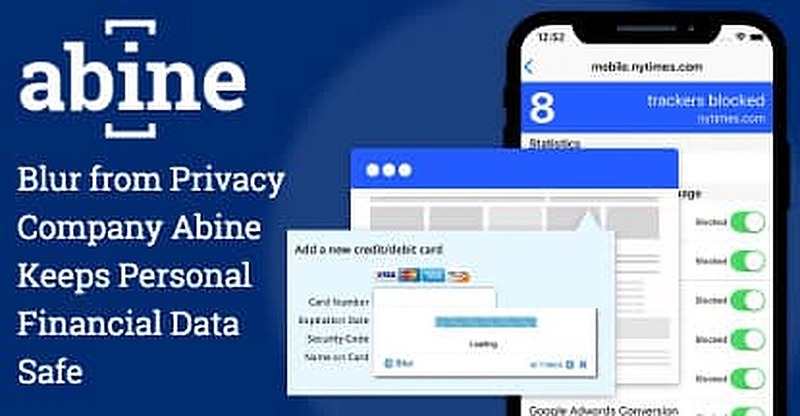 Abine created its Blur and DeleteMe security solutions to not only block the intrusion of trackers, but to create ways for customers to use a masked email address, phone number, and credit card number to hide their real information when making purchases. DeleteMe searches data broker websites for users’ information and permanently removes it from the database. I recently searched online to find a birthday gift for a loved one. When the person I shopped for used the computer a few days later, they encountered dozens of ads for the items I bought them. That’s one way to ruin a surprise. Almost every website you visit features embedded trackers that monitor and record everything from the links you click on to the length of time you spend on a page and what you buy or subscribe to. This information is immensely valuable to data brokers, who make millions of dollars each year placing consumers into categories and selling their private information to marketers. While many web surfers see the intrusion as the price they must pay for internet freedom, Abine views the trackers as malicious threats that cost consumers both time and money when their information ends up in the wrong hands. The company’s Blur and DeleteMe products offer a two-fold solution for keeping private information off the internet and removing information already posted to the web. Think of the solutions as the proactive and reactive tools needed to maintain online privacy and security in a modern world that has very little of either. Many consumers have relaxed their credit card security concerns since most cards now offer $0 fraud liability protection that makes cardholders responsible for no more than $50 in fraudulent charges. Privacy is a different matter, though, because each credit card swipe transmits information — including a user’s home address, phone number, and other personally identifiable data — to multiple companies along the payment chain. Abine’s flagship product, Blur, is free to use and works within the background of any desktop or mobile browser to keep personal information off the internet. Blur blocks trackers and data-exchange programs that collect information during browsing sessions and stores members’ password and login information for easy access when it is needed. Shavell said Blur blocks an average of 175,000 tracking attempts annually for each user. Those trackers collect any information they can and sell it to companies who create databases containing individuals’ information. If you’ve ever searched the web for your name, you’ve likely seen some of those websites offering your information for a fee. But Blur’s biggest value comes when you’re about to submit payment or personal information during an online checkout or signup process. Blur has your personal information covered when you make an online purchase or sign up for an account or service. Websites typically require certain data — including your phone number, email address, home address, and a credit card number — during the checkout process. Blur’s $39 annual premium membership masks that information. Instead of using your actual email address, Abine creates a unique address with a similar username and places it into the information box. The real email address on file receives any correspondence sent to the masked email address and continues to mask any replies. Blur also creates a masked phone number that forwards calls to the user’s real phone number on file. Anyone calling the masked phone number will never see the phone number the call is forwarded to. Perhaps the most valuable part of Blur’s premium service is its ability to generate a temporary credit card number pre-loaded in real time with the funds needed to make a purchase. Blur allows a one-click autofill of the number to complete transactions and then charges the user’s credit card on file for the purchase amount. Masked credit card numbers can also be set up to make installment or subscription service payments that require multiple disbursements over time. “The concept is unique, but it’s really effective for both privacy and security because you’re not actually giving these people your real information, but you’re still able to use the services like you would if you gave them that information,” Shavell said. Credit card charges using Blur are still eligible for most general rewards points or miles accrual. While Blur works as a proactive measure to keep users in control of their personal information, DeleteMe is the reactive solution that makes up for any previous online mistakes you may have made. Removed information typically includes a user’s home address, phone number, credit card number, email address, relative’s names, and anything else data brokers have scraped from different websites over time. The premium DeleteMe service costs $129 per year for individual users and begins working immediately. Every time the program finds a user’s information online, a report is sent to the user detailing the type of information found and where the program found it. Despite already blocking more than 1 trillion combined trackers for all of its users, and an average of 175,000 online trackers each year for individuals, Shavell and his team at Abine expect the use of trackers to only increase as data becomes harder to source and more valuable to marketers. As Blur users have found, trackers can be found on just about any website, including age-old institutions most see as trustworthy. Users can unblock specific websites if they want to enable the tracking of purchases or browsing history through certain companies.